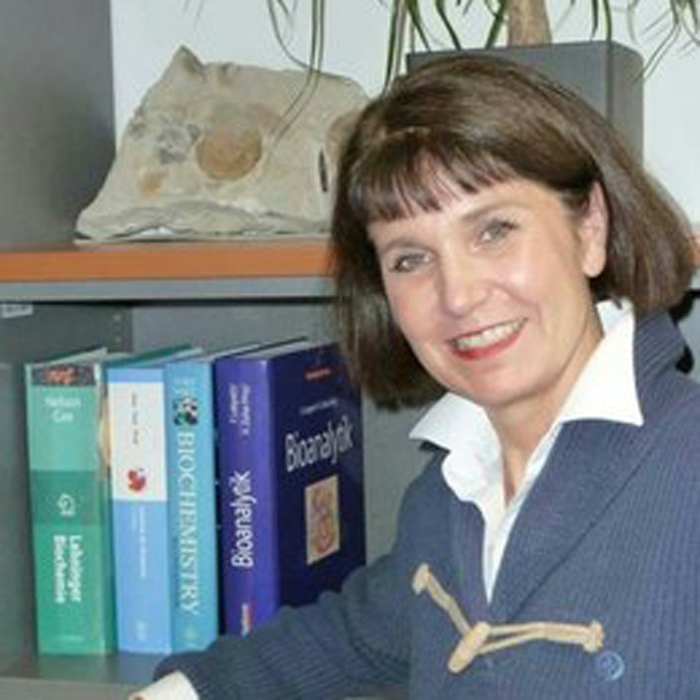 Sybille Mazurek is professor of Veterinary Biochemistry at the University of Giessen, Germany since June 2012. She graduated in Biology at the University of Giessen in 1990 and was awarded with the doctoral degree “Doctor rerum naturalium” in 1993. In 2003 she received her Habilitation (German postdoctoral research and lecturer qualification) on “Studies concerning the formation and regulation of the tumor metabolome” by the Faculty of Veterinary Medicine of Giessen. Before starting her professorship at the University of Giessen she was head of an industrial research laboratory for ten years. One focus of her scientific research is the relevance of pyruvate kinase isoenzyme M2 in tumor metabolism, therapy and diagnosis. In newer projects she extended her scientific interests in the role of nutrients and metabolism during adipogenic, tenogenic and osteogenic differentiation of equine and human mesenchymal stromal cells (MSC) as well as parasite proliferation in host cells. In addition she investigates the suitability of the metabolic signature for risk assessment of environmental chemicals in cell cultures. For her research she received fundings of the German Research Communication, German Federal Ministry of Education and Research and Hessian Ministry for the Environment, Climate Protection, Agriculture and Consumer Protection. She authored over 30 papers on cancer metabolism with more than 2200 citations.